Hong Kong is the world’s famous center for trade and business. Having a company in the territory of Hong Kong automatically increases the status and reputability of the business owner. Hong Kong is a very profitable offshore jurisdiction and it brings numerous advantages to any entrepreneur or businessman who wishes to register a new business. Hong Kong is one of the easiest and most efficient places for registering and setting up an offshore business in the world. Efficient financial and legal systems and infrastructure. Furthermore, the process of an offshore business registration avoids the unnecessary bureaucratic procedures and any special government authorisations. Hong Kong offshore jurisdiction has one of the lowest tax rates in the world. If the business does not derive any profits through Hong Kong resources then it will be free from tax liabilities. Furthermore, there is no capital gains tax, sales tax, dividends or interest tax, no VAT/GST, no estate duty. It also has one of the lowest corporate tax rates internationally of 16.5%. Confidentiality is another major feature of Hong Kong offshore jurisdiction. The privacy of the owner, shareholders and directors are highly protected due to strict privacy laws and ability to appoint nominee directors and secretary. 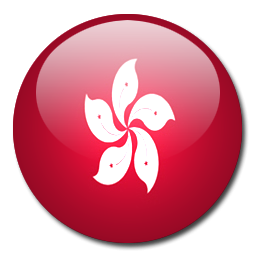 Another benefits of registering a company in Hong Kong include low business costs, political stability, trusted image, productive and skilled workforce etc. All these advantages of a Hong Kong offshore company place Hong Kong among the most popular business jurisdictions in the world. Read more important information and price.